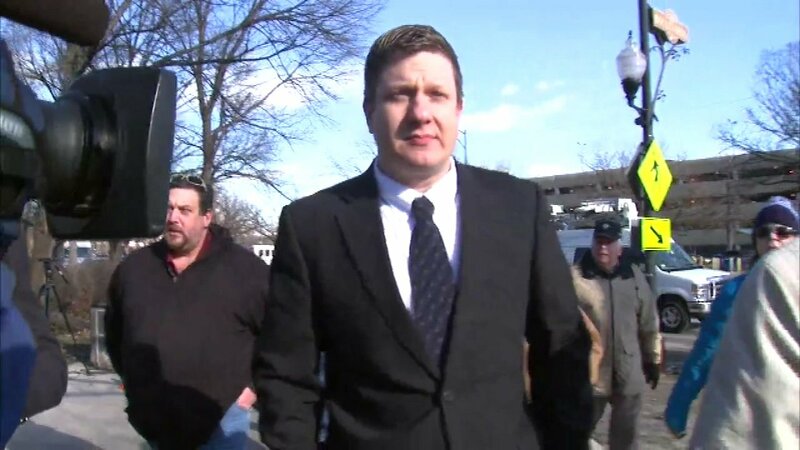 CHICAGO, IL -- A white Chicago police officer charged with murder in the 2014 fatal shooting of black teenager Laquan McDonald pleaded not guilty Tuesday in a Chicago court. He appeared in front of Judge Vincent Gaughan in Cook County Criminal Court and was dressed in a dark suit and blue striped tie. The next hearing is set for Jan. 29. Public outcry has been furious since a dashcam video was released last month showing the veteran officer shooting McDonald 16 times. The teenager, armed with a knife, was veering away from officers when Van Dyke opened fire. The footage sparked days of street demonstrations, the forced resignation of Police Superintendent Garry McCarthy and a broad federal civil rights investigation of the police department's practices and how allegations of officer misconduct are handled. Over the weekend, Chicago Police shot and killed two other people, a 55-year-old woman who was shot accidentally and a 19-year-old man whom police have said was "combative" before he was shot. The department will not say how many officers fired their weapons or what the two people were doing before they were shot. Mayor Rahm Emanuel, who has been the target of heavy criticism and calls for resignation since the McDonald video was released last month, is due to return Tuesday afternoon from a family vacation in Cuba.